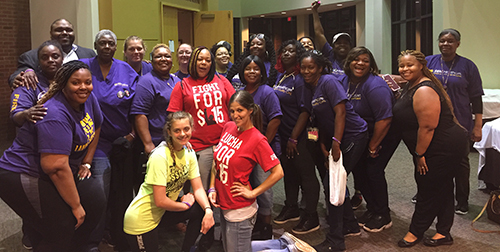 SEIU home care workers are coming together to gear up for our 2019 campaigns! 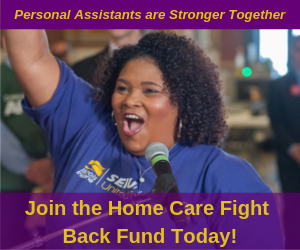 We’re fighting for rate increases for home care aides that will extend the Chicago minimum wage increase to all home care aides statewide, and we’re awaiting an announcement about when Personal Assistants can expect their back pay to be released and raises implemented. We also must continue to work to get the DHS overtime policy rescinded and prepare to resume contract negotiations for PAs. Join us at the meeting happening in your area to hear the latest updates and to share your ideas on what our next steps should be. South Suburbs – 9:30 a.m.